Information is activated by communication.Therefore, knowledge, communication and information are equally important for efficient and effective management of library. 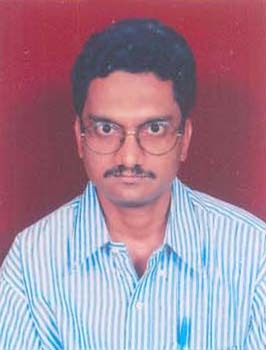 PSCMRCET encourages every student to use the library. Standard text books and books by authors of repute in all fields taught at the college are stocked. The college follows a policy of buying multiple copies of many of these books to make them available to a large number of students. There is no question of budget approval when it comes to the buying of books. A spacious, well stocked central library a real treasure house of knowledge with number of volumes, International and National journals of repute caters to the needs of the students of all branches. Almost all the newspapers and magazines are available for the students to access. Apart from this the library is also accessed to ‘EKALAVYA’ channel to down load the lectures of eminent professors and scholars from IITs and IIMs. The library is open between 8AM and 8PM so that students can stay even outside the instructional hours to refer to the suggested books and make the most of it. 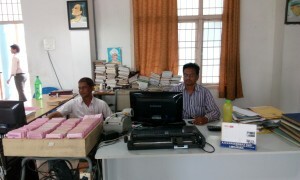 PSCMRCET library is located to easily accessible to all. The library consists of the following sections. 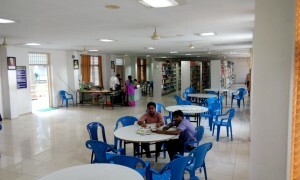 The central library is mainly for the use of faculty, students and supporting staff of the institution. Faculty members & students can borrow books and reference books. Reference and Circulation services are free of cost. Reprographic service: 50 paisa per copy. “Books are for use and not for preservation”. With this dictum PSCMRCET library functions. Hence the open access system is followed. Library issuing mechanism is fully Computerized. All the books are issued and returned through the EZLibrary software with supported by barcode technology. The library provides access to large number of e-Journals to its readers through the N-Digital library and the library also provides 76 NOTEL IIT Lessons in DVD format in different disciplines. The library has a rich collection of documents comprising books/reference books. The library subscribes to more than 77 scholarly print Journals in different disciplines. In addition, it provides access to around 1000 and above full text Journals through N-Digital library.